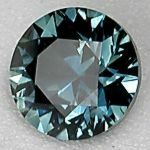 This stone sports huge sparkle - Nobody ever believes that it was cut from a projector lens. Oregon Sunstone with a hint of schiller crowns Australian precious with intense green and pink pinfire. Beautiful light pink Morganite cut in a unique concave version of my Bare Square Three design. Beautiful, rich natural Oregon Sunstone Cabochon with a nice glowing schiller flash. 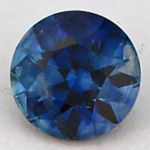 This uncooked natural Sapphire from Nigeria in a standard round brilliant shows beautiful velvety-blue color throughout - very difficult to find in untreated material! 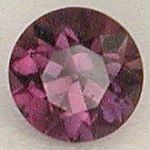 Natural color-change Sapphire from Africa - This stone has a medium color-change.